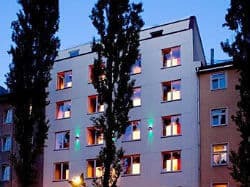 Munich’s two popular gay saunas are great places to hook up with a local. 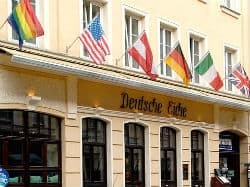 Since 1995, Deutsche Eiche has been one of the most popular gay meeting spots in Munich, attracting men of all ages and types. 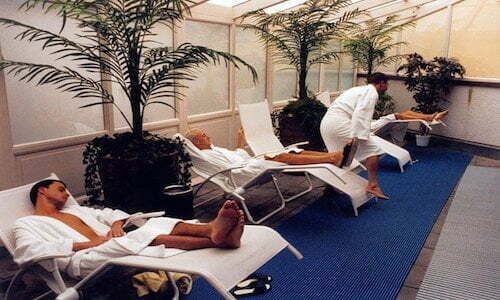 The massive sauna has a 300-man capacity with very clean, well-maintained facilities on 4 floors. 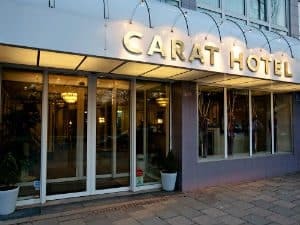 Features include a Finnish & salt sauna, whirlpool, large steam bath, dark room, solarium, video room, massages, rooftop garden, bistro & bar, free internet access. 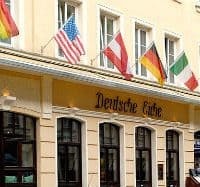 Located in Munich’s gay district, t at the back of the gay-iconic hotel & restaurant Deutsche Eiche – enter via the hotel reception. Sauna for men in Munich. Schwabinger features a Finnish sauna, steam room, bio sauna, solarium, bar, dark room, lounge area, gym, massage service, free internet access. Attracts mostly local mature men. The décor is something of an acquired taste, but you are not going there to admire the wallpaper! 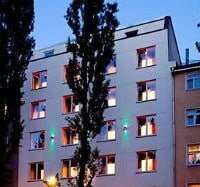 Located in the north of Munich, away from the city centre but easily accessible by subway. Munich’s oldest gay sauna and a meeting place for mature men (40+). Herrensauna features a sauna, showers, lounge area, bar, etc. 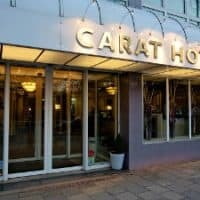 Located in the city centre, near the main train station. Closed on Sundays and during summer holidays. Call Hans +49 89 5151 8916 (only speaks German).